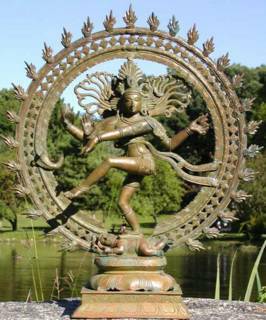 I read about the Nataraj pose of Lord Shiva in the book Cosmos. I used to see free hosroscopes in web sites and have not paid for personalized horoscopes. a lot more about this field to comment on this? Today there was a discussion in office mailing list on this topic. I found a link which defends astrology in scienfic way. # 1. Astrology probably gave birth to Astronomy. There is nothing supernatural about casting a horoscope, most of it is done according to precise astronomical and mathematical principles. # 2. Many famous scientists have been into Astrology: Tyco Brahe, Karl Jung, Kepler, Huxley, and Copernicus.. Many others remain anonymous. # 3. Astrologers do not necessarily believe in fate. They believe the stars impel not compel. # 4. There are 10,000 practicing paid Astrologers and millions of horoscope followers. There are hundreds of books on the topic. Only 10% of Americans believe there can’t be anything to it. # 5. Astrology doesn’t have to involve pphacthic phenomenon or even direct causation. Many Astrologers believe in a natural synchronicity between the stars and events. Other countries place even more value in it. # 6. It is a undisputed scientific fact that the planets have a measurable magnetic, gravitational and electromagnetic influence on the earth. Most people agree that bizarre behavior tends to peak on full moons. # 7. Astrology is not limited to natal. There is also electional, horary, mundane, medical, meteorological, Chinese 12 year and millennial. # 8. The vast majority of those who look at their own chart (not just a newspaper column) find uncanny accurate hits. * Astrology, this work has been rather isolated or of low statistical quality. Two separate teams of astronomers find Neptune-size planets beyond our solar system. 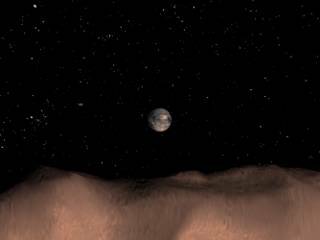 Earth-like planets are just around the corner, they say. By Amit Asaravala. Telescopes spy the closest asteroid flyby ever recorded.